With social media slowly manipulating people’s sleeping habits, Torjus Roberg says it is more important than ever that we accept responsibility for our habits and stop making excuses by putting the blame on our devices. I have always found it scary just how much people struggle to disconnect from their phones and social media. Our phones are close to becoming appendages of our bodies at the moment and never lets us rest. Perhaps it is the next stage of evolution? The expression on people’s faces the second their phone runs out of battery is probably the perfect image of the 2010’s; panicked and confused at the thought of the social isolation that comes with being “off the grid”. 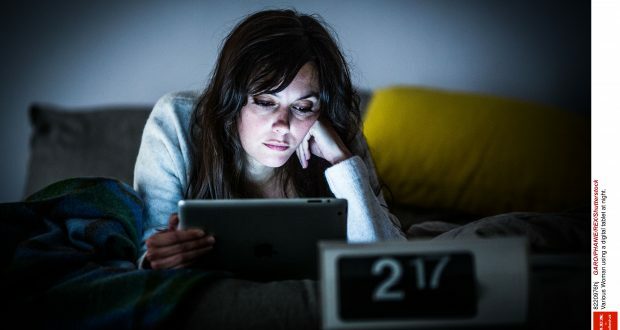 According to a study conducted by Acta Paediatrica, there is in fact a correlation between lack of sleep and social media addiction in young people. It is not easy to be in University. It requires persistence and dedication which is why you would think that people at that age would be responsible enough to get a good night’s sleep. I realise that these devices are very integrated in society and we depend on them a lot, but to become so glued to the screen in the evening that you do not notice the hours passing by is quite frankly obsessive and you should seek professional help. This goes for any form of addiction. We are responsible for changing our habits and not just putting the blame on the devices while we slowly sink deeper into the never-ending black hole of social media addiction. If you are having trouble sleeping at night, staring at your phone screen is the last thing you should be doing. The blue lights radiating from the screen will only make it harder for you to fall asleep by straining your eyes. According to the study, light of all the cold colours should be avoided. It feels like the more technology we are introduced to, the more ways we find to abuse it. Our devices are meant to make our lives easier by letting you do anything anywhere. However, we somehow always find new ways to complain about them and blame them for our problems and bad prioritising. Never have our first-world problems been more childish and trivial. If you complain about not getting enough sleep when you stayed up until 3am scrolling through endless wannabe-funny prank videos, vine compilations and reading famous people’s tweets, the answer is very simple: Turn. Off. Your. Phone. I understand that it can be distracting and tempting to tell yourself “just one more” before going to bed, but ultimately it is your fault for indulging.